View of a garden on Garden Walk Buffalo in 2010. The garden walks, Open Gardens and other great events that you have associated with the National Garden Festival will now come under a new name: Garden Walk Buffalo Niagara. While the National Garden Festival was able to publicize these events, it didn’t have the infrastructure, network of volunteers or funding to be sustainable on its own. Last year it was announced that the National Garden Festival would be absorbed by Garden Walk Buffalo, the largest garden walk in the nation, which has the capacity to organize events. The events will continue this year as they have since the National Garden Festival began in 2010. More important, the change should enable the events to continue long into the future. The name Garden Walk Buffalo Niagara represents the role that the Garden Walk Buffalo organization plays as well as the regional scope of its activities. The umbrella of Garden Walk Buffalo Niagara includes more than 90 gardens on Open Gardens on Thursdays and Fridays throughout the Buffalo-Niagara region; the annual Garden Art Sale; Horizon Club Travel’s Great Garden Travel with Sally Cunningham; a GObike Buffalo garden tour; a “Beyond Flowers” Sustainability in Action tour; an “East Side Momentum” tour; promotion of all the Buffalo-Niagara garden walks; educational events; a public space makeover, and more. Information on all the offerings will be available at the Garden Walk Buffalo Niagara booth at Plantasia this week. I’m working hard to incorporate all the activities on my Events page as well. The National Garden Festival had been administered under the auspices of the Visit Buffalo Niagara Foundation, which had funding for marketing, but didn’t have funding to organize events. Garden Walk Buffalo Niagara aims to fill that gap. The new structure aims to give the same kind of success to the other gardening events that Garden Walk Buffalo has been able to achieve– The 21st Garden Walk Buffalo will be held on July 25 and 26 this year. “We hope to give those events a better chance of longevity and sustainability,” Tooke said. The other garden walks are organized by independent committees, and they will continue to function that way. Garden Walk Buffalo Niagara will help to market activities. Because it is a non-profit entity, Garden Walk Buffalo can do things that the previous structure under the National Garden Festival couldn’t do, such as accept donations and buy things without paying sales tax. “They’re small amounts, but they do add up,” Tooke said. Board members were recently named for Garden Walk Buffalo, and they include Garden Walk Buffalo volunteers as well as familiar faces from the National Garden Festival. 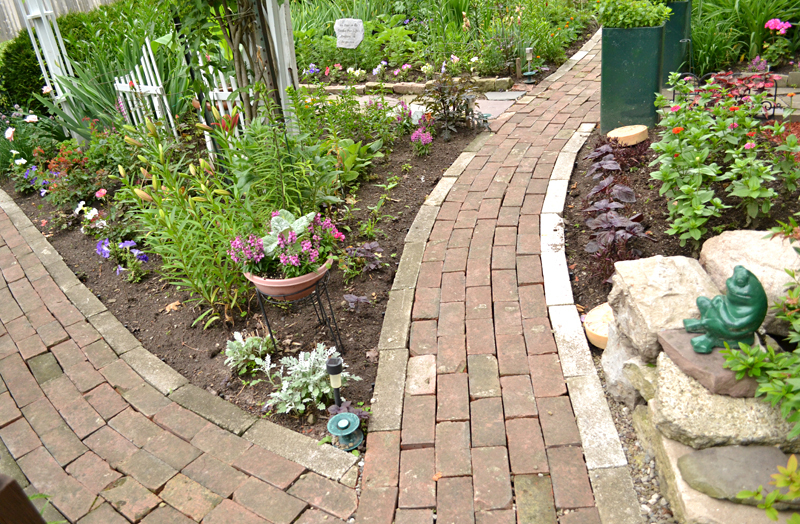 Garden Walk Buffalo, started more than two decades ago, was such a great success that other neighborhoods in Buffalo and its suburbs followed suit and started their own garden walks. So many wonderful gardening activities had evolved here that a small group of people decided to create an umbrella so that all of these activities could be marketed as one giant event, bringing in tourists from all over. The National Garden Festival got its start in 2010 and publicized all the independent garden walks. It also added new activities, including the Open Gardens. These efforts have been spectacularly successful. Garden Walk Buffalo alone brings in 60,000 tourists from around the world to Western New York on the last full weekend in July, with an estimated economic impact of $4.5 million, according to its organizers. Buffalo is represented in a book on garden tourism. 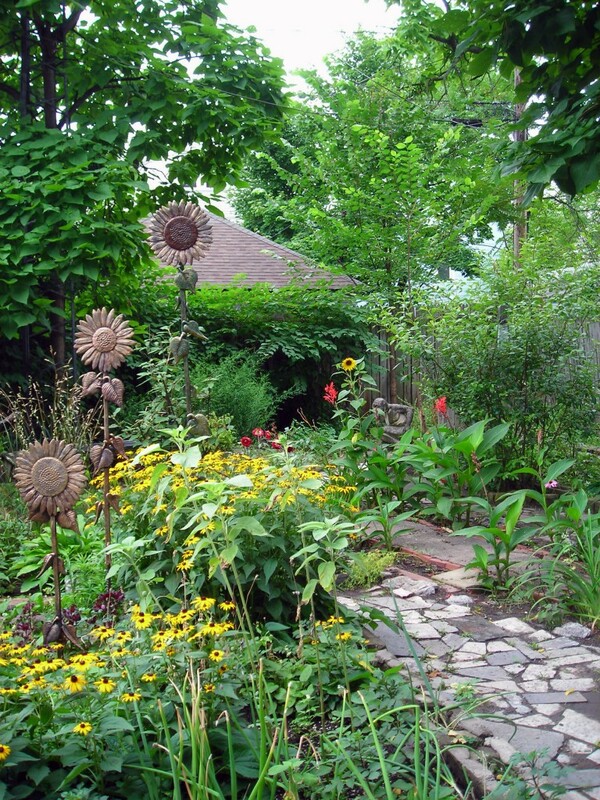 In 2013, local garden tourism efforts were rewarded with international recognition at the Garden Tourism Conference in Toronto. Start seeds inside now for cool-weather crops; start seeds for tomatoes in a few weeks in WNYMembership to Botanical Gardens is part of $200 prize package– It’s free to enter! Being on the committee for Lewiston GardenFest, I am glad they are still promoting the other walks. The Fest never did benefit from the National Garden Festival as other local garden walks did because our event preceded the annual kick-off event. Nice GWB is continuing helping the local garden walks in making this such a must see summer event. Great for tourism in extending the event all summer long. So many fun things planned. I do like Sally’s Great Garden Travel. I did go on two and enjoyed them immensely. Thank you for explaining the new organization. I hope that in addition to listing individual garden walks in their book and on the website the Garden Walk Buffalo Niagara will offer mentoring to the smaller garden walks.